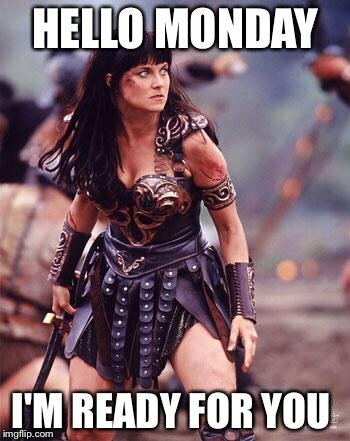 Try Angry Xena Meme Generator – it’s a lot of fun. Feel free to share your meme if you come up with something good. For more fun watch my video “What does Xena say?”. More Xena pictures here. For more memes, pictures and funny tweets about the Wonder Woman’s new costume here. Even Lucy Lawless herself commented on it.